We draw on our competency as a chemical manufacturer in applying our proprietary macromolecule synthesis technology in the drug discovery business that spans in-house pharmaceuticals, contract pharmaceuticals and generics. 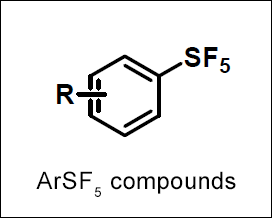 UBE Aromatic SF5 compounds are expected to be useful as BUILDING BLOCKS for pharmaceutical agents, pesticides, liquid crystals, conductive polymer, and higher performance organic materials. 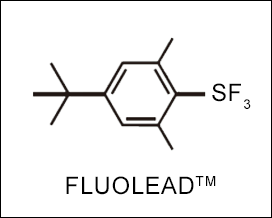 FLUOLEAD is a novel nucleophilic fluorinating agent, that is crystalline solid (mp.66°C), and has enough stability against moisture to handle it in the open-air without fumes. A major objective of the Pharmaceuticals Research Laboratory is to discover pharmaceuticals that promise to be beneficial to society, and realize the market release of proprietary drugs. 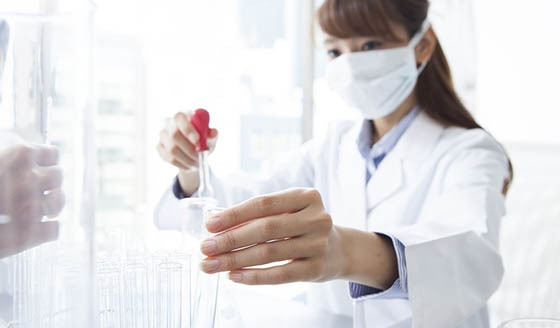 The laboratory sets specific research goals to rapidly develop candidate compounds and realize results, in order to expand the pipeline through the successive development of new drugs.